For Tim’s birthday, I treated him with tickets to the Keane concert! I bought the tickets the moment they went on sale and we got terrific seats. It was an AMAZING show! Mat Kearney, whose new song Closer to Love is on the radio right now, opened for them and was really good — just good, chill music that’s easy to listen to. On Mat Kearney’s tour blog, they said of the show, “The show tonight was the best one yet. Mat and the band sounded amazing.” Here’s some pictures and video we took of the show in case you missed it. I wanted to crop this man’s head… but I don’t have a cropping machine. I was amazed at how theatrical Keane was in their performance style. The singer, Tom, used his arms a lot — exhibit A! And have you ever seen a keyboardist headbang? Well theirs did! And didn’t miss a note, amazingly! They were absolutely amazing. Kept us on our feet the entire time. If you aren’t familiar with either Mat Kearney or Keane, do yourself a favor and get acquainted! It’s excellent happy music. You’ll be happy you did. 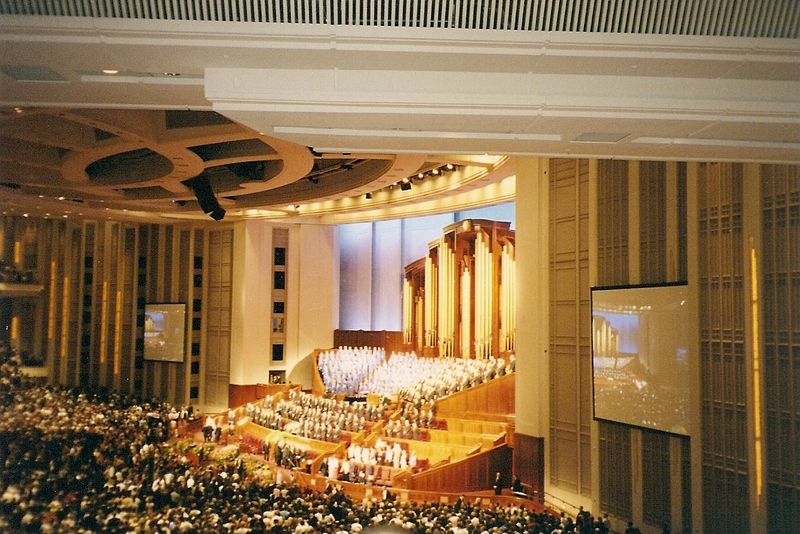 The first weekend in October, members of the Church of Jesus Christ of Latter-Day Saints all over the world gather to hear the words of the General Authorities of the church, living prophets and apostles, at General Conference. 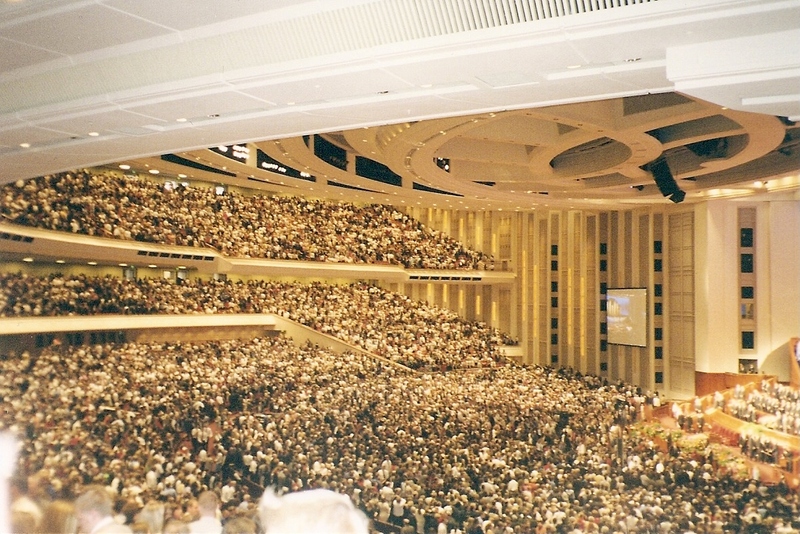 Conference is held at the magnificent Conference Center on Temple Square in Salt Lake City, Utah and brings people from far and wide to worship – a Mormon Mecca of sorts. If you’d like a breath of fresh air and much needed perspective with all that’s going on in the world, you’re welcome to watch Conference online at www.lds.org. So far we have been spiritually nourished by messages of Christ, gratitude, living now, unity, faith and encouragement. Transcripts will be available next week at www.lds.org. Join us in a race for the cure this Saturday, May 10th and make a world without breast cancer a reality by your generous donations. Visit our website http://www.active.com/donate/komenslc2008/bluebijou to register to participate in the event or make a donation. We appreciate your support. Hailing from the Northwest and living in Utah, we like to stir things up a bit, play music, dance, eat good food, and play with kitten Ginger. Subscribe to Sarah + Tim’s Blog! Jess and Tim – hairstylist extraordinaire! Made by Mel – delectable food!